The Starling Principle states that fluid movements between blood and the tissue are determined by differences in hydrostatic and colloid osmotic pressures between plasma inside the microvessels and fluid outside them. While experimental evidence has established the general validity of Starling Principle, difficulties in interpreting it quantitatively became apparent when measurements of interstitial fluid (ISF) hydrostatic and colloid osmotic pressures became possible. The revised interpretation recognizes that since vessel walls are permeable to macromolecules, a static equilibrium resulting from the balance of pressures cannot be achieved. 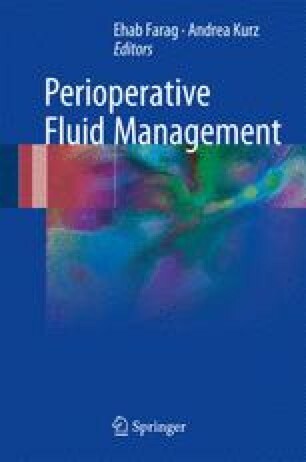 Colloid osmotic pressure differences between plasma and interstitial fluid depend on low levels of filtration in most tissues. Plasma volume is maintained as a steady state with fluid loss by filtration being roughly matched by fluid gains from lymph. These differences in colloid osmotic pressure that determine blood-tissue fluid exchange are those across the ultrafilter in vessels walls, namely, the glycocalyx on the luminal surface of vascular endothelium. These differences are distinct from those between mean values of plasma and interstitial fluid since most macromolecules do not pass through the intact glycocalyx. Unlike transient changes, steady state fluid transport is nonlinear with changes in microvascular pressure. This nonlinearity predicts differing effects of the dilution of plasma protein depending on mean microvascular pressures, with increased transcapillary filtration when pressures are similar to plasma colloid osmotic pressure but negligible filtration at low pressures. Since pulmonary capillary pressures are low, monitoring plasma colloid osmotic pressure during large crystalloid infusions may be useful in averting pulmonary edema. KPA would like to acknowledge the British Heart Foundation (PG/15/37/31438) and the Bizkaia Tallent Fellowship Scheme (AYD-000-256). Some readers may be interested to follow the theoretical derivation of the steady state relation between fluid filtration through a membrane and the pressure difference across the membrane when the solute responsible for an osmotic pressure difference opposing filtration has a reflection coefficient of less than 1.
where C(x) is the solute concentration at x.
where JV(1 – σ) ∙ Δ/D = Péclet number = Pe. The Péclet number can be thought of as the ratio of the solute velocity by convection to its velocity by diffusion. The ratio D/Δ is the diffusional permeability of the solute across the membrane. When appropriate values for the permeability coefficients are substituted into Eq. 2.10A, nonlinear curves similar to those shown in Figs. 2.7, 2.8, and 2.15a can be constructed. It is important to use Eq. 2.10A not 2.9A for reconstructing the curved steady state relation, since JV appears on both the left and right hand sides (in Pe) of Eq. 2.9A. Equations 2.9A and 2.10A are approximations because the assumption made in Eq. 2.8A is only approximately true as the relation between osmotic pressure and concentration for macromolecular solutions is not linear, but its slope increases with concentration and it is best described by a polynomial expression. To obtain more accurate predictions, numerical solutions can be used to estimate the osmotic pressure difference from the difference in concentration.